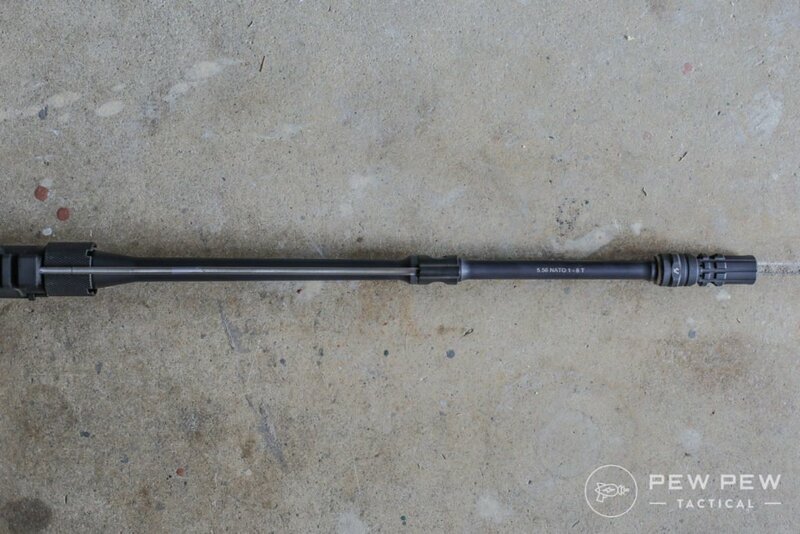 [Review] Faxon 16″ Pencil Barrel: How Light is Too Light? 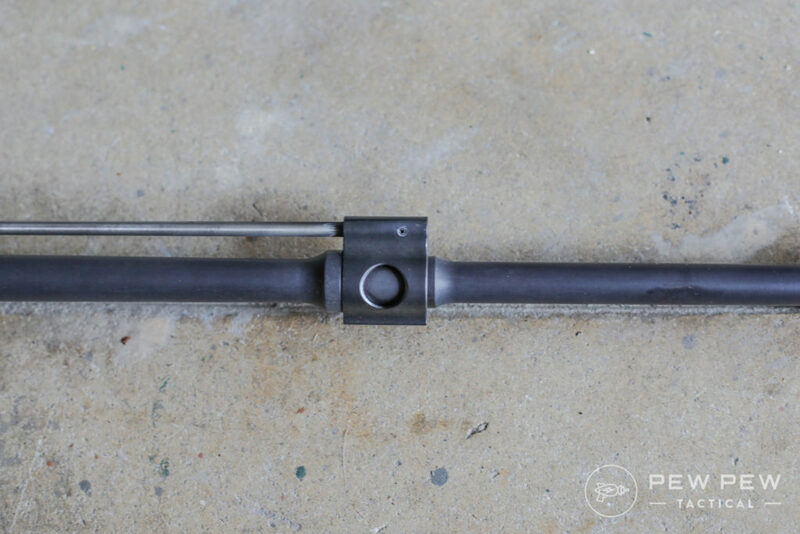 Want the lightest 16″ barrel setup on your AR-15? You can’t go wrong with Faxon’s 16″ 5.56 mid-length pencil ($175) that weighs in at just a tad over 19 oz. 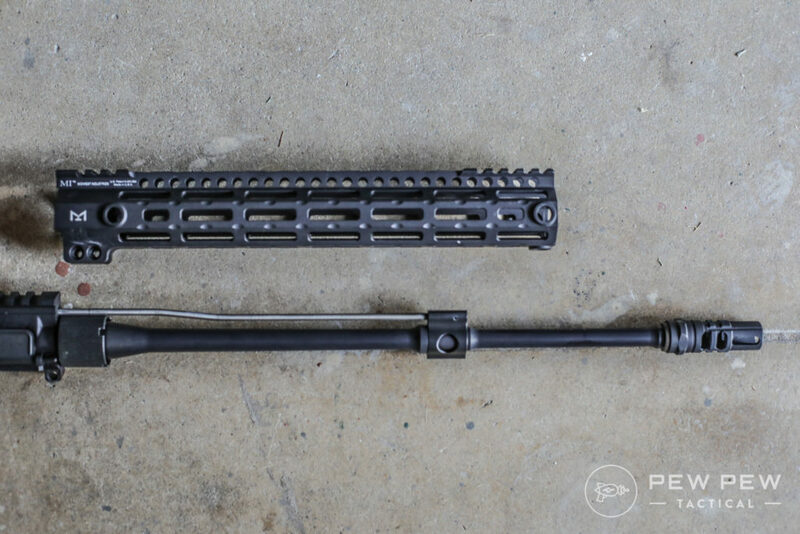 Compare that with a standard M4 profile barrel that is around 28 oz and you’re talking about serious weight savings. I’ll cover fit/finish, shootability, accuracy, bang-for-the-buck and more in my hands-on review. 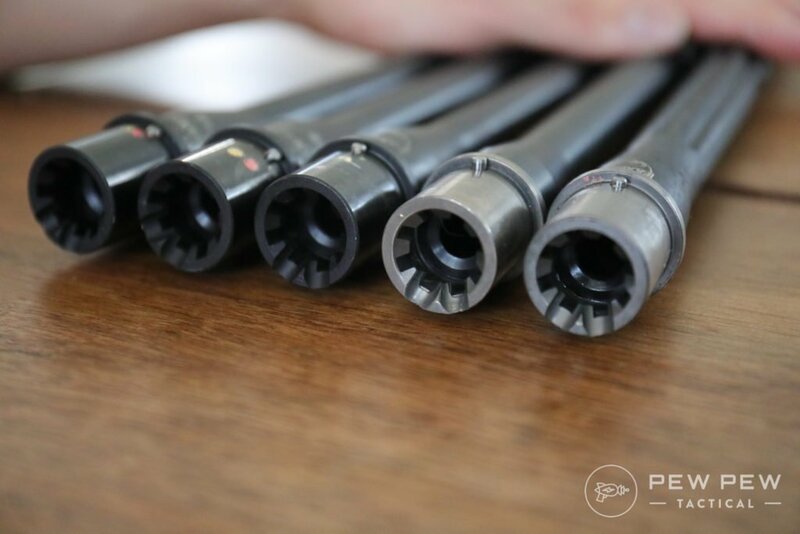 By the end…you’ll know if Faxon’s pencil barrel is the right for your build. Plus a special 5% off code for readers. Faxon started out in the aerospace manufacturing business so they know their stuff. And all their barrels are made in-house…”cradle to grave” as they call it. Plus…several other well-known brands use their barrels. 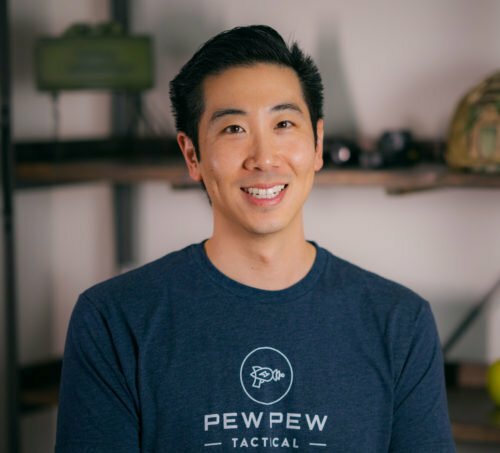 I reviewed a previous barrel…their 14.5″ pencil with a permanently attached muzzle device in my ultimate lightweight build. It passed with flying colors for something super light and short (full review) but does cost about $100 more. I also reviewed Faxon’s claim to fame…the Gunner Barrel which combines the M4/Government profile with pencil characteristics. But first…let’s see how their 16″ pencil stacks up. The pencil barrel I’m reviewing today is the middle one. Great Nitride finish that I like a lot more than the dull standard phosphate. M4 feed ramps were smooth and well cut for all the barrels too. 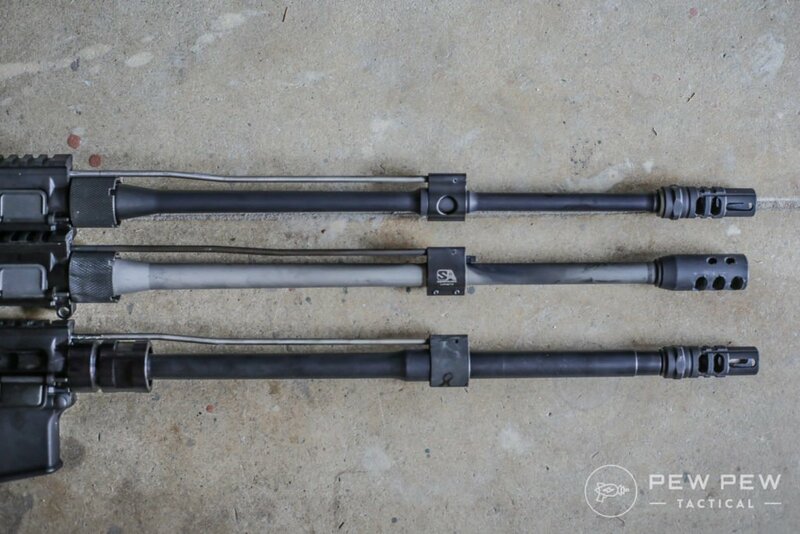 I installed it with Faxon’s Ultra Low Profile Gas Block in .625″ ($32) and their mid-length gas tube ($14). Easy and uneventful. 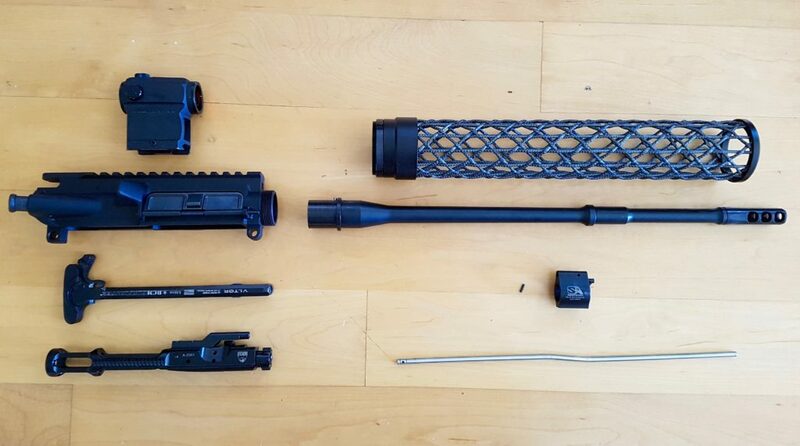 For more info check out our How to Assemble an AR-15 Upper guide. I also finished it out with a Midwest Industries G3 ML (Best AR-15 Handguards). And a Strike Industries J-Comp 2 brake ($37). Which made for a super light and mild-recoiling upper. 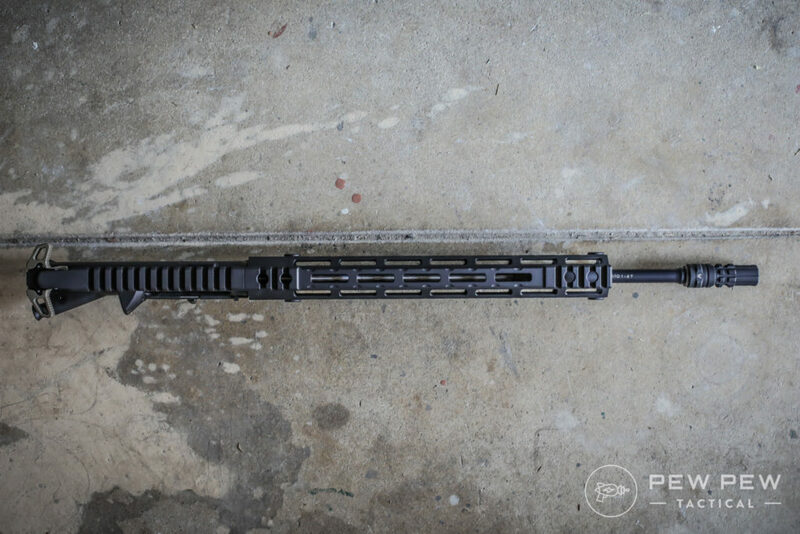 It handled very well since there was still enough weight from the standard 16″ of barrel and a lightweight handguard. Recoil was also very manageable without an adjustable gas block. 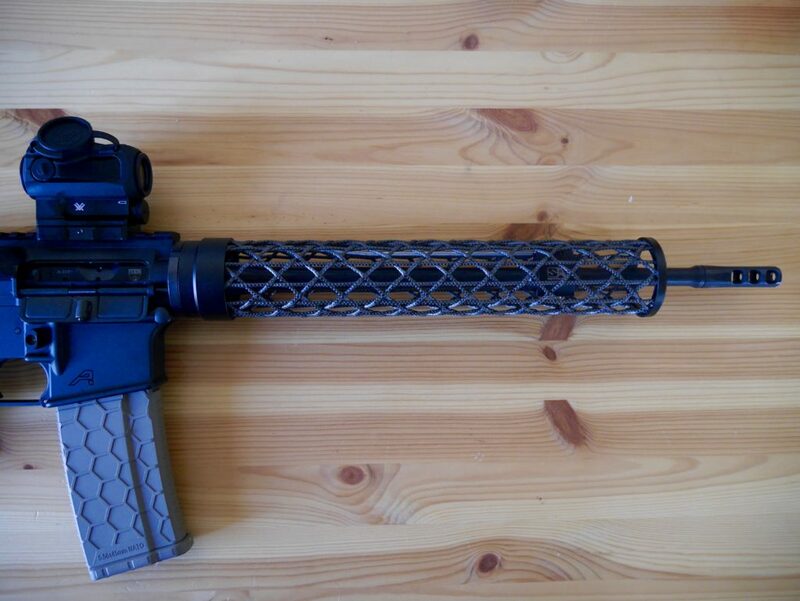 My previous build with the 14.5 and carbon fiber handguard was a little TOO light and made me feel the recoil…even though I had an adjustable gas-block (Best AR-15 Gas Blocks). 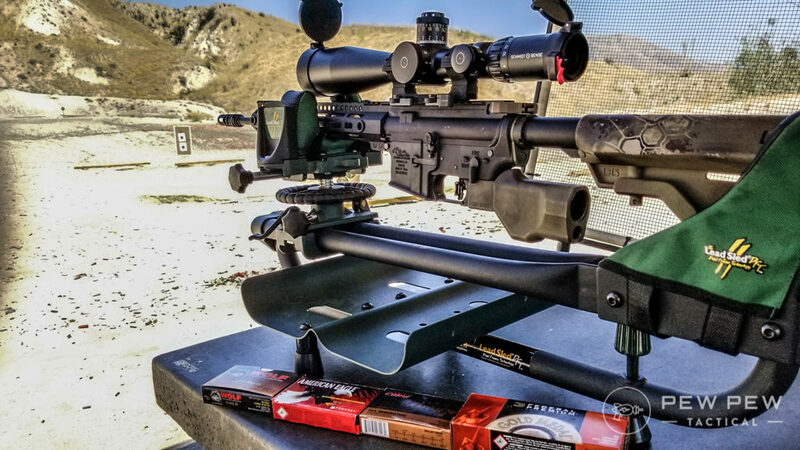 I shot about 600 rounds of various 5.56 and .223 rounds through…no hiccups of any kind. Also with both red dots and 1-6x scopes (Best AR-15 Optics) I was able to hit 100 yard and 200 yard steel plates while standing. Though I haven’t run it through any rifle competitions…I feel it would do well with quick transitions and out to 300 yards easy. 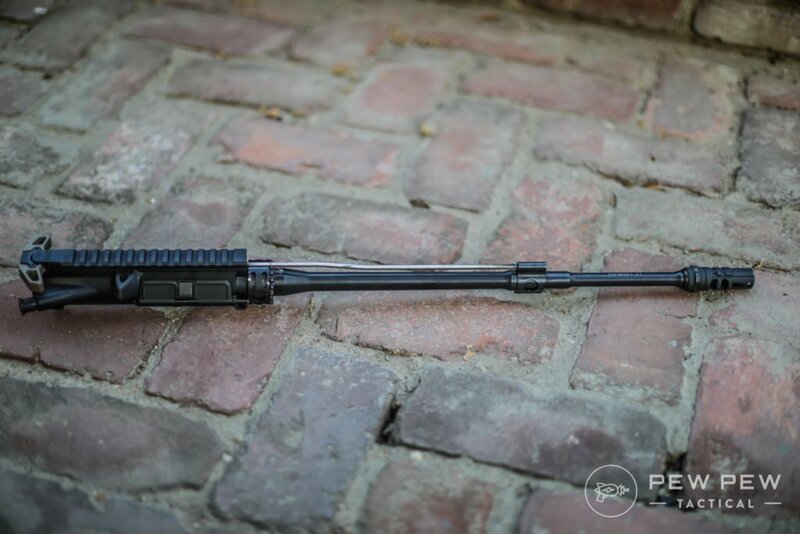 As a final comparison of how thin this barrel really is…here it is against the Ballistic Advantage Hanson barrel (full review) and a stock profile PSA upper (full review). I used my standard testing setup to take as much human element out as possible. Then chose some of my go-to ammo (Best AR-15 Ammo) and set up my target 100 yards away. I shot at a pace of about 1 round per 5 seconds. And let it cool until I was able to grip it with my hand before going on to the next group. I had some extra Wolf Gold in another mag so I shot about 14-15 in the first group. 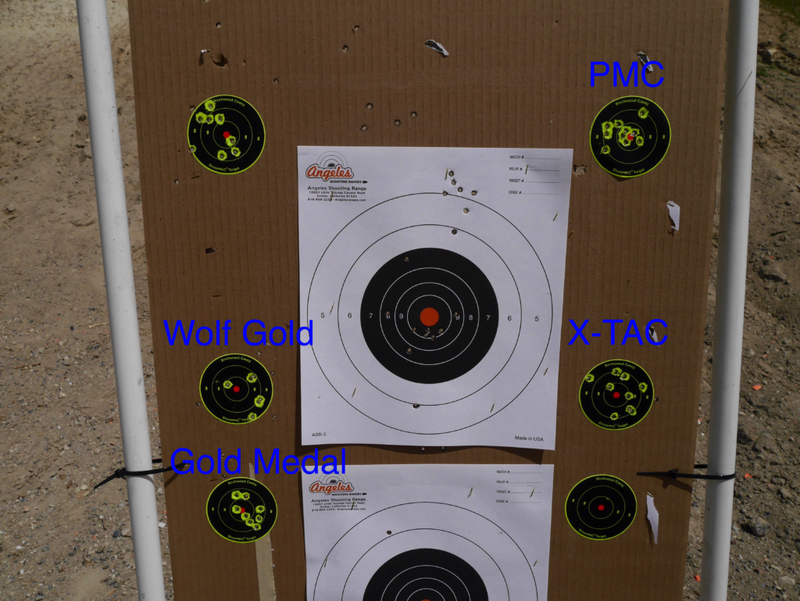 PMC Bronze (.223) fared the best at about 1 MOA while the others were 2-3 MOA…even the Gold Medal. This matches up with what I found in the 14.5″ pencil review where PMC performed the best and others were OK.
Also…it looks like overall the groups for regular plinking ammo for the 16″ pencil were tighter. 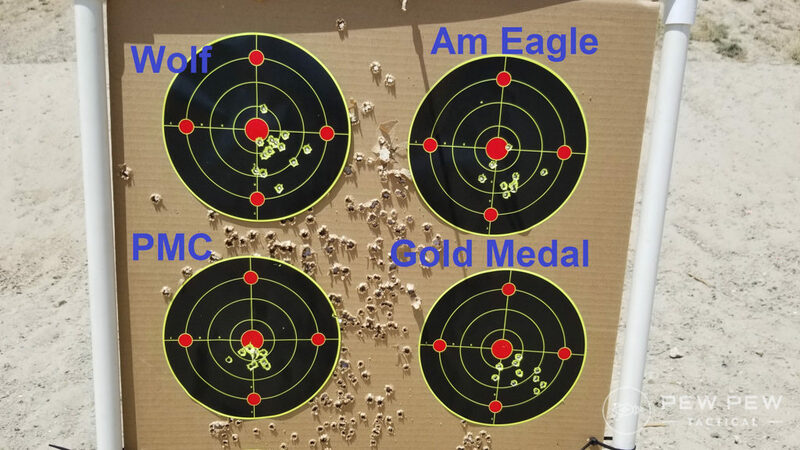 The Wolf Gold for the 14.5″ were off the target. I’m going to chalk it up to the slight increase in velocity going from 14.5″ to 16″ barrel. No failures of any kind in 600 rounds. Feed ramps were cut well, gas block holes were in the right place, and it was easy to install onto my upper, handguard, and brake. Does the best with PMC Bronze .223 ammo (even better than match) at 1 MOA while others open up to 2-3 MOA. Great Nitride finish that’s so much better than standard phosphate. No defects or unevenness I could find. An awesome barrel for around $165 (after coupon below)…I’d expect it to compete with barrels $100 more. Fit, finish, and reliability are all up there. I would nitpick how it’s finicky with ammo…but you really can’t complain at the price. 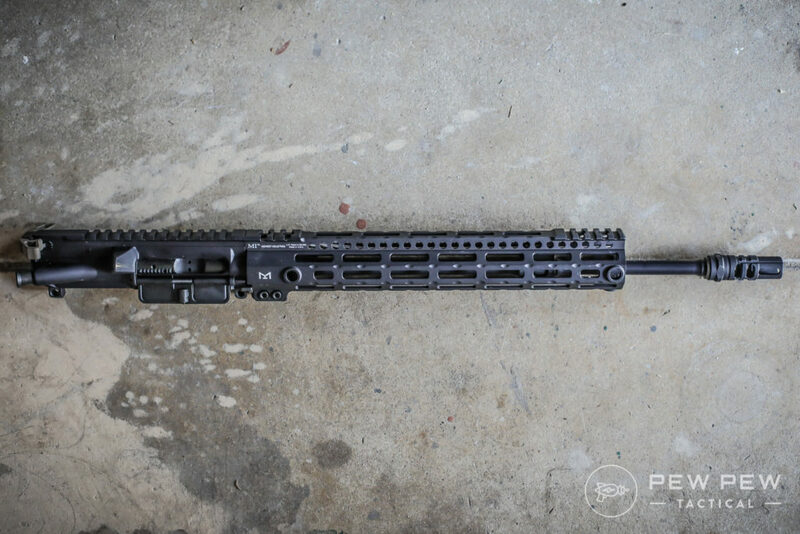 I solidly recommend the Faxon 16″ 5.56 Pencil barrel for all your lightweight builds where weight,maneuverability, and price trumps extreme precision. It will do its job as long as you stick with PMC Bronze (or match ammo). Are you going to get Faxon’s pencil barrel? Or do you already have one? 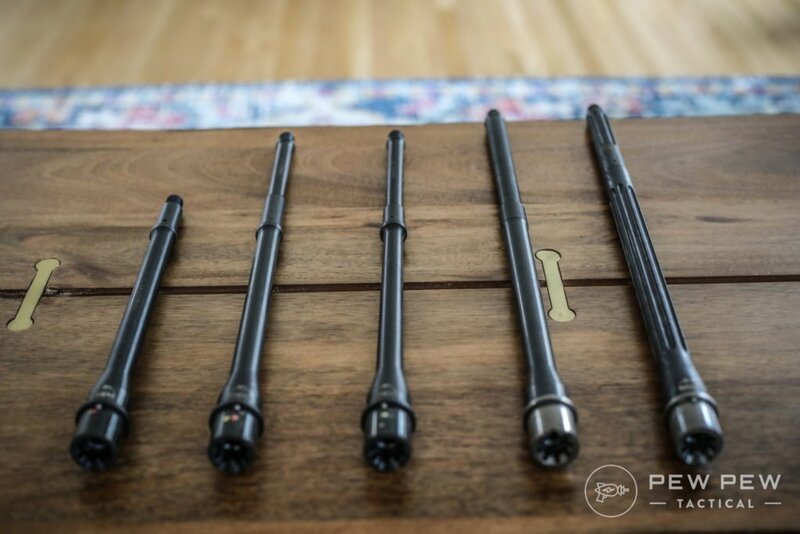 Check out our review of Faxon’s proprietary Gunner Barrel that combines M4 and Pencil barrel profiles. I used the Faxon pencil and found it could do 1.25 inch 5 shot groups with some mediocre 55 gr. gun show reloads repeatedly using my rolled up jacket over an ammo can, with a 4 power scope at 100 yards. I did not see any POI shift as the barrel heated after a dozen rounds or so. I met the president of Faxon at the NRA show in Atlanta and was impressed with his sincerity of pleasing is customers. Nice, thanks for sharing your experience! I also didn’t see a lot of shift compared to my Faxon 14.5 pencil.